Yerry Mina is our new no.24! The Colombian takes the shirt previously worn by Puyol, Toure and Iniesta. 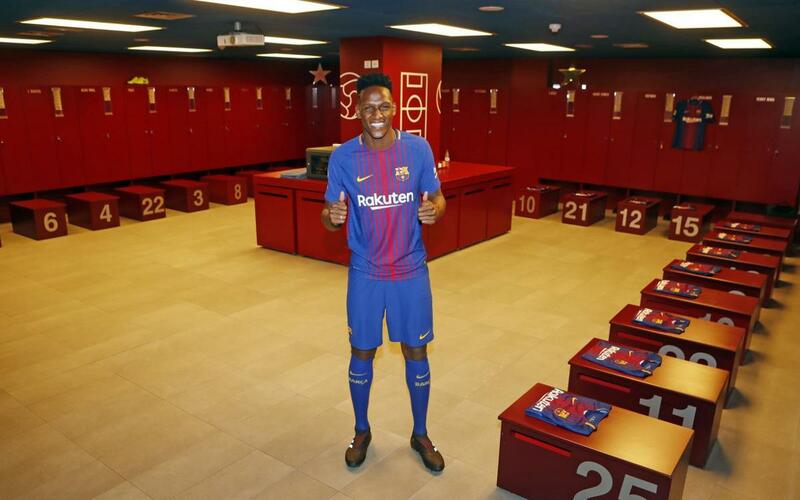 The number that Yerry Mina will wear as a Barça player is now official. The Colombian will have 24 on his back, and is therefore between two other central defenders in terms of shirt numbers in the squad: Umtiti (23) and Vermaelen (25). Mina is the ninth FC Barcelona player to wear the No.24 following defenders Fernando Couto, Carles Puyol, Andreu Fontàs and Jérémy Mathieu, and also Roger Garcia, Andrés Iniesta, Yaya Touré and Sergi Roberto.